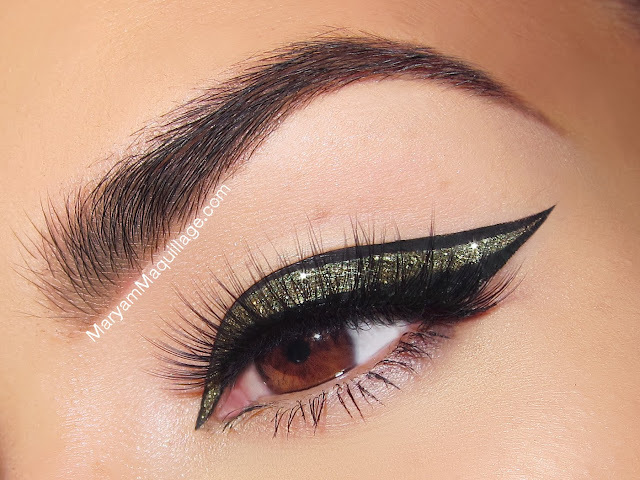 Maryam Maquillage: Glitter "Border" Liner for the Holidays! Motives Liquid Powder Foundation in Almond -- I rave about this product in every post, this foundation is truly flawless! This thick liner look is perfect for Asian eyes, monolids and/or eye shapes with a smaller lid space. Apply Eye Shadow Base all over the lid, concentrating on the movable lid and corners. Using a fluffy eyeshadow brush, apply a wash of Vanilla & Creme Fresh eyeshadows from the lash line to the brow. Applying this light mixture will give the liner more contrast and pop and will even out any skin tone imperfections. Using a fine detailing brush, pick up some Forbidden eyeshadow and mix it with a couple of drops of setting spray like 10-Years Younger to create a liquid liner consistency. Paint a thick winged line across the lid. ASIAN EYES TIP: The width of your liner should come up to your natural crease (fold), like in my case. Paint a thin line with Noir liquid liner keeping close to the lashes. Apply a generous coat of Gold Digger glitter liner on top of the Forbidden eyeshadow, allow a few seconds for it to dry and add another coat if necessary. 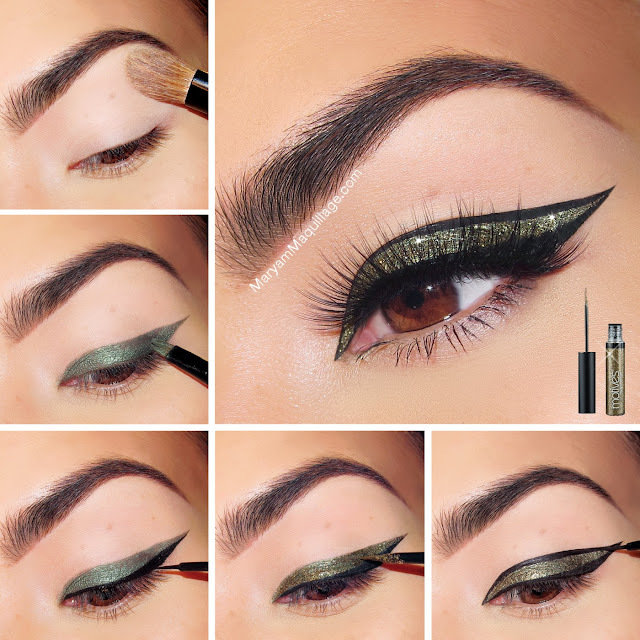 Paint a third line above the glitter, keeping parallel to the lash line and tapering at the inner and outer corner. This step completes the "Border" or outline of your glitter liner. ASIAN EYES TIP: Place this third line directly above your fold, but paint it slightly thicker, as it will diminish once you open your eyes. Curl your lashes, add mascara and falsies. House of Lashes Pixie Luxe lashes are perfect for this look because they're not heavy and don't cover up the glitter. 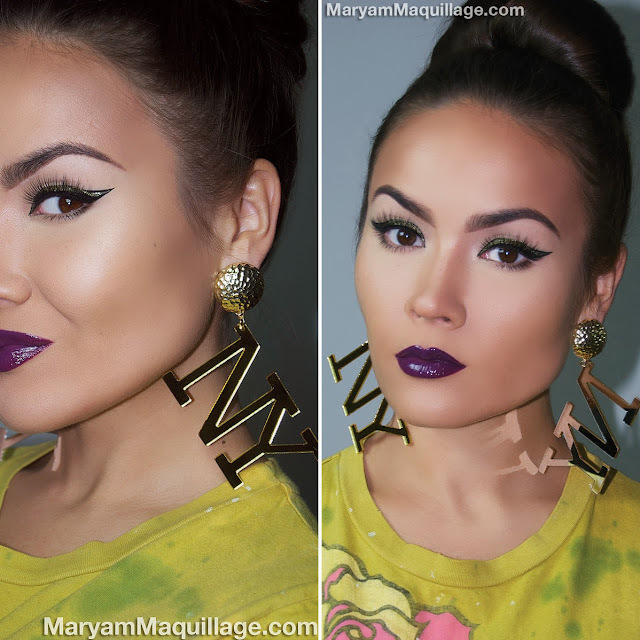 Love the glitter look up top and it's crazy how you pull off those purple lips! Gorgeous! LOVE this with the purple lips! 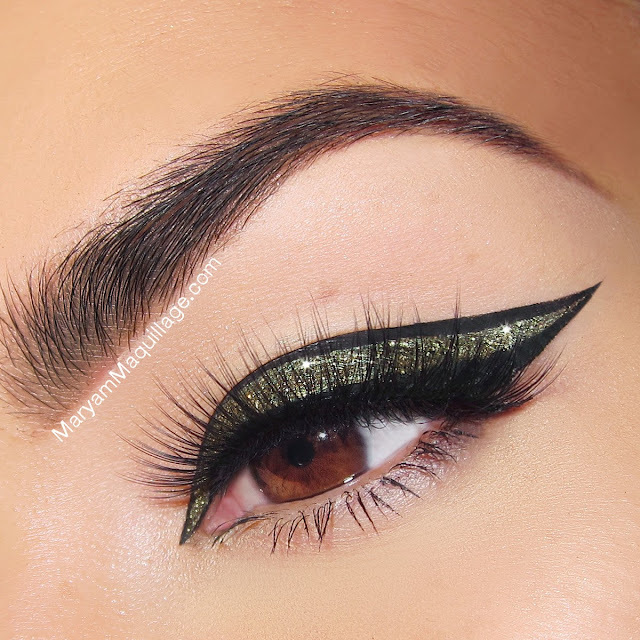 I am definitely going to try doing this type of liner. It should be illegal to be that gorgeous! Seriously stunning!